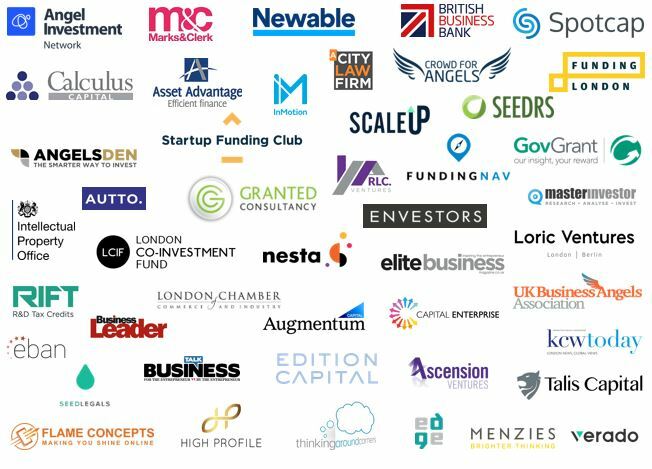 LONDON, United Kingdom: 25th Jan 2019 — Businesses looking for funding to grow their ventures need look no further. 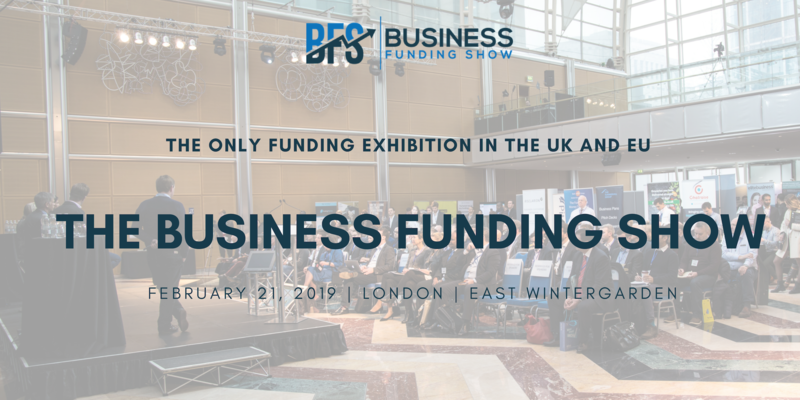 Taking place in East Wintergarden, London on 21st February 2019, the Business Funding Show (BFS) will bring together two key groups in the UK economy — entrepreneurs looking for funding and leading finance-providers. The event will host over 60 exhibitors representing various support and financial institutions providing Loans, Venture Capital, Private Investment, Grants, R&D Tax Credits and Advice on Investment-Readiness,Innovations, International Expansion and Scaling-up. All attendees to the event will have an ample opportunity to liaise with representatives of various leading financial institutions to discuss their funding options and secure the best solution in the most time-efficient way. Notable speakers include Alice Hu Wagner (Managing Director of British Business Bank), Peter Cowley (President of European Business Angels Network), Jenny Tooth (UK Business Angels), Nigel Walker (Head of Innovations of Innovate UK) and many more. The event is proudly sponsored by industry leading organisation such as Newable, British Business Bank, Spotcap, Intellectual Property Office —just to name a few. A range of activities, such as Funders & Founders expo, 121 Investment Clinics, Pitching Competition, Innovation Lab, and Foreign Expansion Clinic, and a range of workshops, will help businesses explore their options and become more attractive to funders. The 121 Investment Clinics will provide a chance for having pre-scheduled meetings with best-fit VC, with over 20 top VC being confirmed. Up to 15 businesses will have the opportunity to pitch for funding from the main stage to the carefully-selected panel of funders. Businesses representing the following sectors - HealthTech, Blockchain, FinTech are welcome showcase their brands to attending investors and HNWIs. I love what BFS is doing! It’s a great opportunity for entrepreneurs to raise money to build great businesses. The biggest challenge is finding right people with right money.There are over 5ml SMEs and thousands potential funders. Interconnectivity is the key challenge and BFS is a fantastic opportunity for people who are looking for debt or equity to connect with the right parties. One of the key barrier for businesses to scale is to access funding at the right time. BFS is a great vehicle supporting ambitious companies in achieving their growth potential. I’ve been with BFS a few times and it’s just getting better and better. So, when I was invited, I thought it’s an opportunity that I can’t miss! Besides fundraising, the biggest problem is knowledge and experience of scaling the business. Having a good idea is one thing, but to be able to build the business out of scale and take it outside the UK is really difficult, and that’s where a partnership of BFS’ expansion advisers and funders comes in play. The biggest obstacle faced by entrepreneurs is knowledge, whereto go and how to raise money. BFS is the great outlet where one can get the education, meet with funders and really understand what they need to do to get funded. BFS brings together people from the whole ecosystem. You’ll find here people who come from debt finance, venture capital, people who involve in encouraging and building the skills in entrepreneurs. It’s a great place to meet people who can help your business reach a potential it deserves. With the Show happening in a matter of weeks and a number of businesses and funders from across the UK confirmed, it’s time to mark your dairy to meet all the funders you need in one day! For more information, please visit businessfundingshow.com or follow the link to secure your ticket.